You are here: Home > Learn Spread Betting: Training Course > What Is Spread Betting? The past few years has seen an explosion of trading products and services in global financial markets, including contracts for differences, exchange traded funds (ETFs), spread bets, binary options, covered warrants, and forex trading products to name just a few. Each of these products has developed a niche market of its own with some finding favour as mainstream financial products, like spread betting and CFDs which have really taken the world by storm. Today, one can confidently say that financial spread betting is no longer a niche option when it comes to speculating on the stock markets and financial trading. Economic developments such as changes to the UK tax regime have created a marked shift in the way many stock market traders speculate, and spread betting is taking an increasingly prominent role. Do you recall Play Your Cards Right (who could forget ‘Bruce Forsythe, HIGHER HIGHER! LOWER LOWER!’), where the contestants have to decide whether to bet that the next card to be turned over would be high or low? 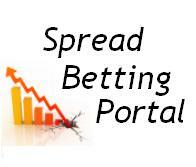 Yes – spread betting in its simplest from! Of course spread betting can appear daunting when you are just starting out but once you’ve gained a bit of experience it’s a brilliant way to trade. This guide is designed to explain all the ins and out of financial spreadbetting. Quite true. Spreadbetters merely punt on the price of the financial instrument. If I “buy” gold I am not entitled to take delivery of the metal. Nor will buying HSBC mean I have bought that stock. Other than the thrill of the trade it is in fact quite pointless. If you are a good trader you can make bags of cash using leverage. The alternative is to use margin on a stock account, but this option would not give you access to the currency or bond markets. And the amazing leverage that spreadbetting offers could not be matched by having even a margin account. One of the greatest things is that amateur traders can open an account for a very small outlay, alternative products such as Contracts for Difference (CFD’s) often require larger amounts of startup capital and brokers can deny you an account if you have no experience in the trading arena. Spreadbetting in this case is the ideal spring board. But this guide is not about sporting events, or even about gambling in the usual sense of the word. The ‘spread betting’ activity that you will learn about here is more appropriately described as financial spread betting, and winning or losing depends on how well you can predict the movements of the financial markets or other securities. The concept itself may initially appear daunting, but the basic principle of trading by ‘buying’ or ‘selling’ an interest in the price movement of global shares or the world markets is relatively simple. Spread betting providers offer a prediction of where they think a particular stock or index will close at a given time, allowing speculators to trade or bet on the accuracy of that estimation. People who believe a prediction may be too low can ‘buy’ on the price, whereas those who think the spread is too high can ‘sell’. You will see later on in the guide how you can study the markets and make a profit. In this way, financial spread betting is very similar to stock trading, although it is available on a much wider range of financial instruments and it has some significant benefits with regard to taxation. The obligatory warning is that it is quite possible to lose as well as win with spread bets, and you can lose more than your original stake, or deposit. “Spread betting provides you the opportunity to attempt to take advantage of movements in financial markets, so if you think that the FTSE will continue rising as more evidence of green shoots sprout up, then you can by the index in a spread bet. Or you can place a buy bet on a particular stock if you believe if will outperform the index. Note that there’s no physical ownership. You are simply trading on the movement of the price, speculating whether the market will go up or down. The term ‘spread’ is used to describe a quote made up of two prices that straddly the underlying market price. The higher/offer price is for buyers and the lower/bid price for sellers. If you buy and the market rises above the higher/offer price you generate a profit and likewise if you sell and the market drops below the lower/bid price you make a profit. Therefore, you can make money on spread trading by predicting the market to go downwards as well as upwards. Markets include financial indices like the FTSE 100, Dow (Wall Street), NASDAQ, currencies like the Pound, Euro and the Dollar and commodities such as Gold, Silver, Wheat, Sugar..etc. These are all separate individual markets. When we refer to the market, we mean any individual market you happen to be trading at the time. The most common markets are the FTSE 100 and the Dow. Let’s not kid ourselves about a spreadbetting firm; they are nothing more than financial bookmakers. But; instead of betting on the 3.30pm at Cheltenham punters have the chance to bet on a range of financial markets. And while going into the high street bookies (at least the last time I was in one) seems seedy, almost an underworld type of experience, the world of online spreadbetting in contrast does at least appear to be a tad more sophisticated. One of the greatest traders around – Jesse Livermore – started in the bucket shops of America at the turn of the 20th century. Spreadbetting can actually be compared to the bucket shops of Livermore’s time. Although, these days chalkboards have been replaced with sophisticated charting and trading software. The spread betting industry was among the first in the UK to recognize the potential of the internet as the basis for a trading platform; and it wasnt long before spreadbetting companies such as IG Index and CMC were the main players in a growing niche market. Leaving many of the more traditional stock brokers and banks behind in terms of technology for their clients. Spreadbetting companies claim to make their money from the “spread” only. The “spread” is the difference between the buy and the sell price when a client opens and closes his position. This is an issue hotly debated by spreadbetters. The brokers claim they offset their clients bets, this means that should a client win large amounts of money then the bookmaker in turn has hedged his loss in the real market. It is impractical for these companies to hedge every bet that is placed (and who would want to as a lot of clients lose money consistently) but a bookmaker will monitor large bets and their successful clients and hedge accordingly. Spreadbetting firms don’t want their new customers to go broke (at least not immediately hmm) its bad for business and so most go out of their way to offer virtual trading platforms, trading courses and other tools to help a client to develop his or her skills. Some spreadbet companies allow their clients to make really small bets initially (pennies) while the client gets used to the way it all works. While other companies enforce the trader to place a stop loss order even if the trader thinks he doesn’t need one. When you decide to place a spread bet, you will be quoted a selling price (also known as the bid) and a buying price (also known as an offer). The difference between these two prices is the spread. The closer the selling and buying prices are, the less the market will need to move before you make a profit. Spread betting does not incur any fees, commissions or stamp duty – all you have to pay is our spread. 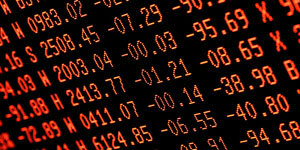 If the market moves against you, you may incur losses so you should only speculate with money you can afford to lose. Spread betting providers typically offer clients very competitive spreads across a wide range of financial markets reducing the amount you pay to open and close each trade and in turn allowing you to potentially maximise your returns. Spread betting is a leveraged product which means you are able to trade without having to put up the full notional value of the position. Trading on margin also increases risk by magnifying the extent of the potential losses. Providers also typically offer stops and risk management tools allow you to further reduce your margin requirements and give a greater degree of flexibility when managing your account. For this example, you can forget most of these numbers and their descriptions except for two: Bid (426.30) and Ask (426.35), and the difference of .05. All you need to remember at this stage is that Ask represents how much each share of BP will cost you to buy and Bid means how much you will get if you have shares of BP that you wish to sell. Prices are quoted in pence. The difference of .05 between the two prices of the bid and ask is called the spread. You can see from the comparison box above that the spread of 426.11 – 427.82 is wider than the spread from Yahoo at 426.30 – 426.35. You would be able to achieve an actual price closer to the Yahoo quote through a traditional stock broker. This is how the spread betting firms make their money; by quoting a slightly wider spread than you could achieve through a traditional stockbroker. This is a small cost compared to traditional share trading, something we will look at later in the book. Spread betting remains the best entry level product for new and intermediate traders in the UK; the costs are low, spread betting firms are regulated under UK law and profits are free of capital gains tax at the time of writing (May 2011). * Yahoo finance stock market prices are from the London Stock Exchange and are delayed by 15 minutes. Spread betting firms are regulated under UK law by the Financial Services Authority. When spread betting you can choose to buy or sell any of our markets. Deciding to buy, or take a long position, means you will make a profit if the market you have traded rises in value. Deciding to sell, or take a short position, means you will make a profit if the market you have traded falls in value.